Musicals.Net - View topic - What part did you play in The Sound of Music? What part did you play in The Sound of Music? I was Leisl not too long ago in '07. It was the most fun ever! It was actually more like nerve-wracking... 3 weeks before the show my Rolfe got put on bedrest and couldn't do the show! Then in the middle of opening night one of my dresses split in half up the back! It was aweful! 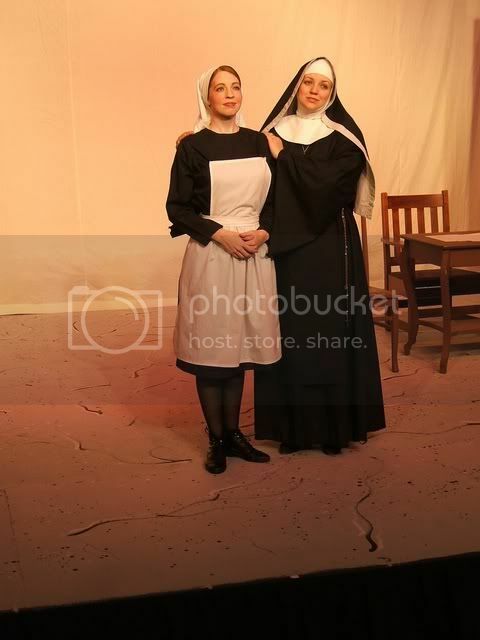 I was Mother Abbess, in fal '06. The director said he wanted 'the best voice' for the act 1 finale (Climb Ev'ry Mountain)... but I was kind of hoping maybe the "best voice" would get... oh I don't know.. the lead?! who sings during the entire show?!? Maria was 10 years older than me, and he didn't want me to wear any aging makeup... it was just kind of weird. your costume is really good! our nuns didn't get a cool little flappy thing on the front of their habits, they just had to put their hands in their sleeves!lol, but it worked-ish! i'm currently playing as Admiral von Schreiber. singing "The Sound of Music"
Well, she had an amazing voice and hit some incrediblely high notes. And she was one of the 5 people out 40 some I could hear even with all of them wearing mics. But I'm not sure. I didn't really think it was that great, and Pirates of Penzance is kinda hard to follow if you can't hear them singing. This is the EXACT story of my school. I am my school's director's daughter, and I was Edith in Pirates of Penzance, then Leisl in SOM, and now Belle in BATB. If this girl had an amazing voice and projected better than everyone else, why shouldn't she get the lead? In my situation, which is probably very different from yours, I am one of the two people in theatre class with any show experience (not counting the school's productions) and the other is a boy. I am also one of the two people that has ever had voice lessons, and the other girl sings in her falcetto 100% of the time, very pretty and controlled but so quiet you can barely hear her. The other 46 people are split with crew, boys that couldn't be any of these parts, middle schoolers that are not allowed to have a lead, several girls who laughingly admit they can't sing, and another girl that is perfectly capable of carrying any show. She was Elsa in SOM, and she is Babette in BATB. The differences between our schools are probably huge, but at my school I am supported by my theatrical friends and they are the greatest family I could have ever asked for. I wouldn't trade them for anything. It makes the experience so much richer and better... I feel bad for anyone who has to go through a show with everyone giving you negative energy and talking bad about you behind your back. I hope I never have too. What our school has right now is priceless, and I wish that everyone could have it, especially that girl that "wasn't that great." wel..E#lsa is the best role in SOM. and for everyone using the word.. its CAST not CASTED! When I was 6 I was the understudy for Marta and in 7th grade I played Louisa. My first role with lines. Much fun. Along with a music box that played Edelweiss with "Marta" embroidered on it. 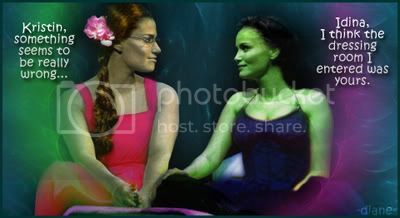 I will hear within 3 hours whether or not I got Liesl or Louisa in another production. I played one of the Nazis. LOVED IT. Pushed my way around; threatened and shouted at the other cast members; beat up a few of them. Best theatrical experience of my life. Look forward to playing same or similar roles again.